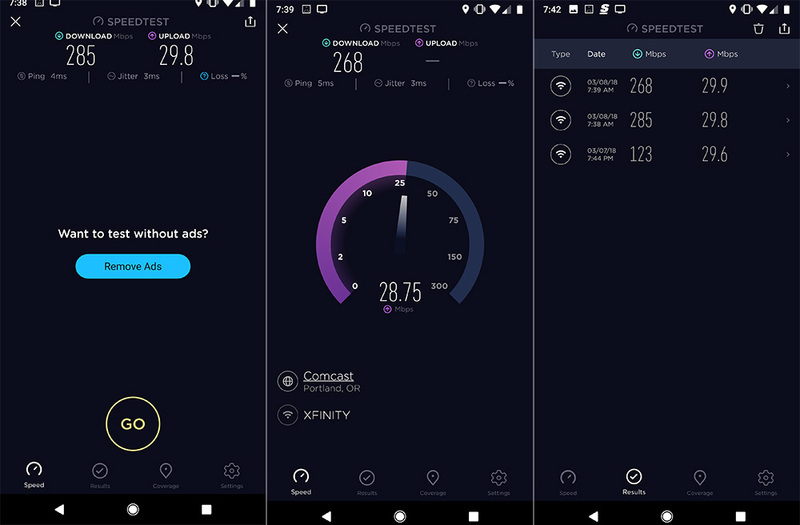 While we were busy doing that whole Android P thing yesterday, I hadn’t even noticed that Ookla’s Speedtest app received an update that brought with it a refreshed UI, as well as some new features. The update bumps up the popular speed test app to v4.0 and includes not only that new look (see above), but it now measures packet loss and jitter, helps you easily find new servers, and lets you adjust between Mbps or MB/s, as well as the scale, since speeds just keep climbing. The update is live already, so go grab it.